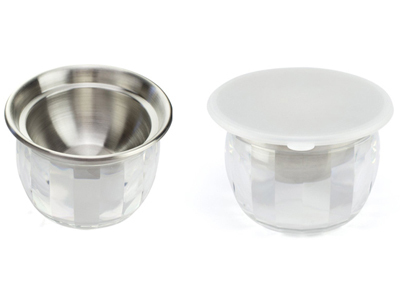 High quality stainless steel upper dip bowl nests inside a stylish lower acrylic ice bowl. 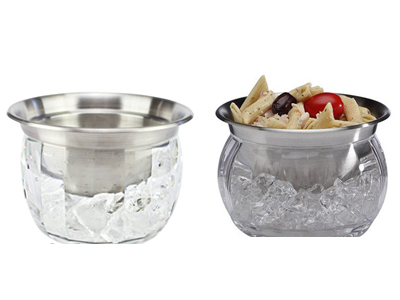 Place cubed or crushed ice with water into lower bowl and position upper dip bowl so it rests down into ice water. Dips will stay chilled for hours. Convenient snap on lid included. Both bowls can be used alone as individual servers. 2.Do not use with boiling water. 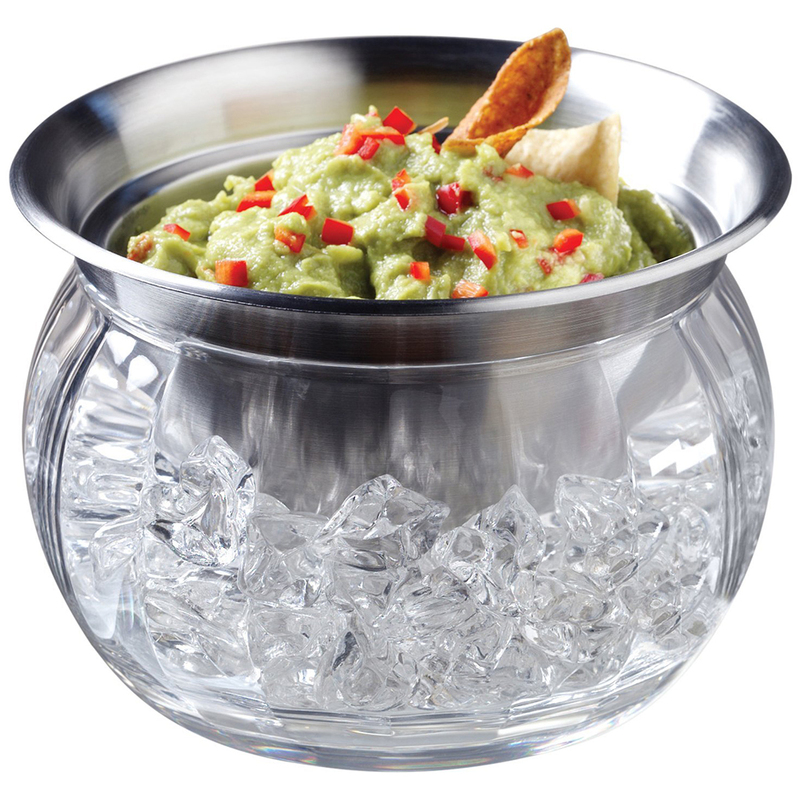 This is perfect for keep guacamole cool during parties. 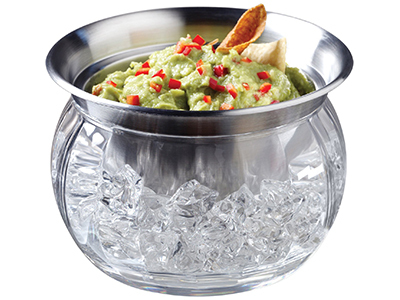 The stainless steel bowl gets very cold and easily lifts out if the ice melts and needs to be replaced. I'm thinking about buying a couple more to use for other dips and fresh salsas. Nice for keeping dip or sauce, whipped cream cold. Might want to add a decorative towel underneath, if using on a wood table. The bowl for ice is great as we've been having extraordinary hot days. It works out well and keeps the dip cool.